What are the push and pull factors in a neighbourhood other than yours (services, lifestyle, housing, employment, transport)? Compare the similarities and differences. Find a map of this location – Include BOLTSS. What are the push and pull factors in the City of Melbourne (services, lifestyle, housing, employment, transport)? Find a map of Melbourne – Include BOLTSS. 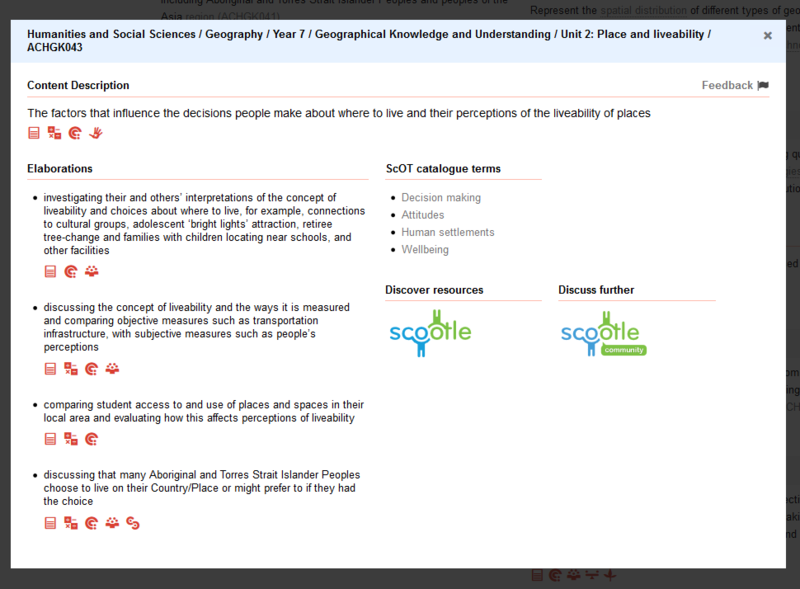 Purpose This piece of assessment is designed to test student’s knowledge of their unit on ‘Place and Liveability’. Using maps from the local area, students will be required to assess the surrounding and local area. 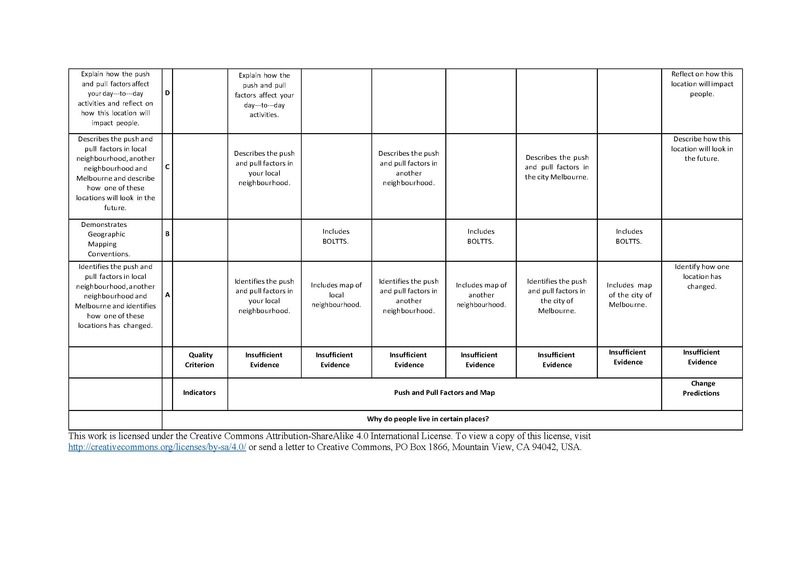 In doing so, this assessment will also assess the students’ mapping conventions. See Description for Activity Questions. Administer Student will be given 75 minutes to complete the task; they will be allowed to use their computers and other forms of ICT to complete the task. Additional pens and paper will also be available during the assessment. Interpret The students will be given a mark out of 16, which will also be incorporated into a percentage. This grade will be the major piece of assessment for this particular part of the unit and will be a major part of their overall mark on their end of semester report. Use Students will be given feedback on their work. 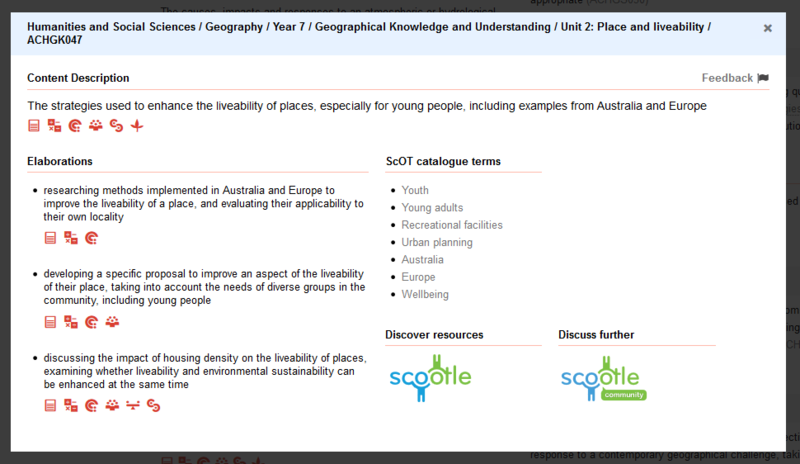 This feedback will show students areas of their Geography knowledge and skills that need further development. It will also provide valuable feedback for the teacher, showing areas that need to be retaught or consolidated. High Students reflect upon the ‘push and pull’ factors of place and liveability in their variety of areas. They are able to identify and describe the impact and/or change of these factors. They have demonstrated a profound understanding of mapping conventions. Low Students identify and list the basic ‘push and pull’ factors in both their area and Melbourne. To support their ideas they have also included a basic map of the areas that they have discussed.